"Oh, Dakuwaqa!" 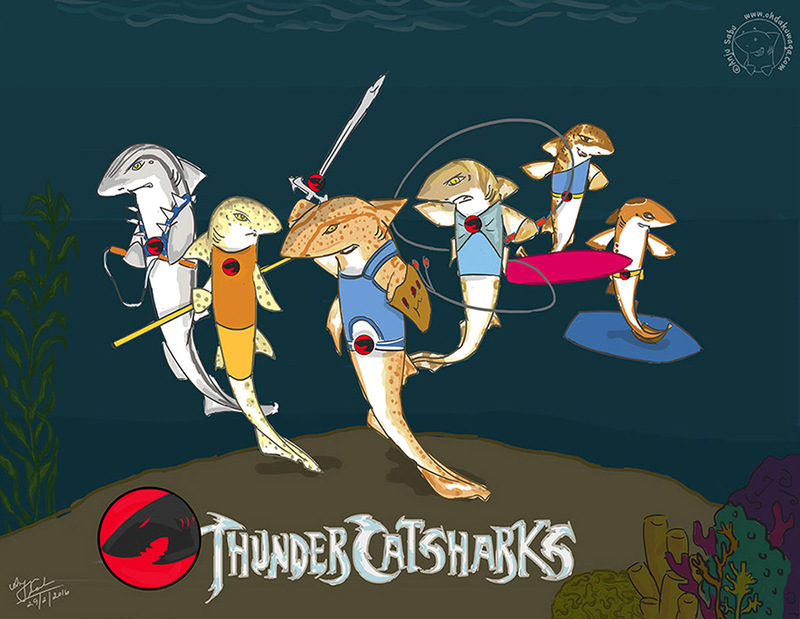 - The Shark comics and cartoons: ThunderCatsharks! It's the 29th of February! Since it's a date that only comes around every four years, I wanted to do a special cartoon today. Drawing the Shark Alphabet allowed me to learn about many new shark species. There are quite a lot of unique sharks of which catsharks are several. That gave me the idea. I was also a big ThunderCats fan while growing up. This is actually my second tribute to them.